Chris’ first athlete he coached in 1994 was a triathlete. In 1998 and 1999 Chris Coached High School Cross Country to add to his run Coaching experience. Chris has coached athletes successfully starting out at the Try a Tri and Sprint level all the way up to Ironman. Athletes Chris Coaches have gone to Worlds for Sprint Triathlons, Olympic Distance Triathlon and Duathlon. Chris has Coached multiple Ironman age group Podium finishers who have qualified for Kona. Multisport Coaching programs balance triathletes and duathletes need for adequate volume, but also making sure to include the correct intensity and the all important recovery needed in triathlon and duathlon. Chris’ personal racing for the last 9 years has been focused on duathlons and running. 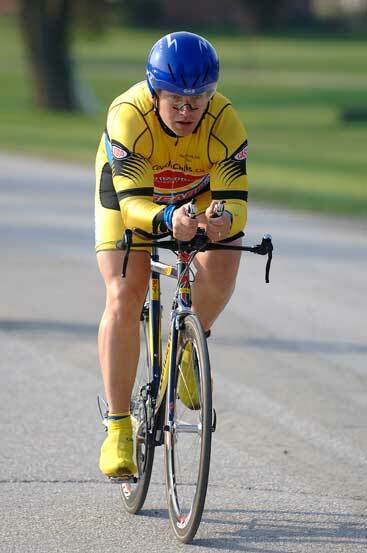 Chris has completed numerous duathlons including the Welland Long Course. Chris has done running races from 5km, to half marathon and has successfully completed two marathons. If you want a personalized triathlon or duathlon coaching program with scientific design and file analysis Chris can help you achieve all your goals in triathlon or duathlon.